Learn about Countryside Access to help you responsibly get outside. Since May 2005, large areas of Northumberland National Park are accessible to the public as a result of the Countryside and Rights of Way Act 2000 (CROW). This means that you can now walk feely on designated ‘Access Land’ without having to stay on rights of way. Up to date information about access land, where you can go and what you can do is available on the Countryside Access website. Open Access Land across the National Park is clearly mapped on all the new Ordnance Survey Explorer Series maps, which were revised in time for the commencement of this new right. Look out for the new waymarking symbols that show when you are entering or leaving Access Land. Land mapped as open access is shown on the Ordnance Survey Explorer map series and on the online maps on the Countryside Access website. It generally comprises areas of mountain, moor, heath, down and registered common land although in certain places known as ‘Excepted Land’ access will be excluded. Such areas include dwellings, active mines and quarries and military bye-lawed land. No. Open Access is not a ‘right to roam’ everywhere. You can walk on Access Land, but you must also look out for local restrictions. You can’t walk across arable land. Active quarries, railway lines and military bye-lawed land is also out of bounds. The live firing area at the Otterburn army training estate falls into this last category. Despite this, one third of the estate (the dry training area) is not byelawed and thus is mapped as access land. For more details on access at Otterburn please go to the Otterburn information pages. You can, of course, always walk on existing Rights of Way. You can do most recreational activities that are carried out on foot, such as walking, running, climbing, picnicking, photography, bird watching and so on. What can’t I do on access land? Cycle or horse ride on access land, except on existing bridleways or where access has been agreed with the landowner. Take vehicles and motorcycles onto access land. Camp, light fires or leave litter Swim, fish, metal detect, fly model aircraft or do any other activity without the permission of the landowner. Take anything from the land, damage property or disrupt any lawful activity. Yes. However you must use a fixed lead of no more than two metres at all times near livestock, and from 1st March to 31st July as this is the bird nesting season. You may also find that dogs are excluded from grouse moors and lambing fields during the lambing season. Please keep a look out for signs which will explain this and look on the Countryside Access website which has up to date information an areas that have restrictions in place. You can of course still takes dogs on rights of way, and we would advise that you keep your dog on a lead when in these restricted areas. Can I always walk on access land? Not always. Farmers and landowners have the right to close their land sometimes. This is usually for public safety, land management or nature conservation. If access is closed at any time, this will be shown on the maps displayed on the Countryside Access website and sometimes on signage. 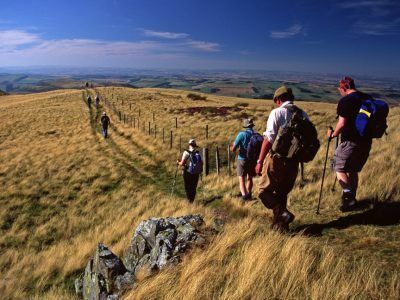 About 1,100 kilometres of rights of way provide the focus for accessing the special area of Northumberland National Park. Furthermore, we have negotiated about 50 kilometres of permissive access, and the vast majority of open moorland, as well as Forestry Commission woodland, which is now “Open Access” land and can be explored on foot. The responsibility for rights of way within the county of Northumberland lies with the highway authority, Northumberland County Council. It has a wide range of statutory duties to protect and maintain rights of way, and additional discretionary powers to support rights of way management functions. The highway authority is responsible for the Definitive Map, which provides a legal record of public rights of way and public rights known to exist at any point in time. Within the National Park, there are 707 kilometres of public footpath, 422 kilometres of public bridleway, 38 kilometres of byway open to all traffic and 50 kilometres of restricted byway. 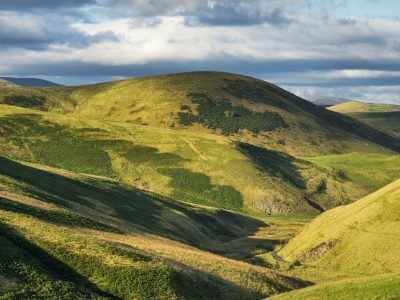 Northumberland National Park Authority has delegated responsibility from the highway authority in terms of the physical maintenance and improvement of the public rights of way network. The majority of this work is carried out by our Rangers, who are responsible for surveying paths, signing routes, helping landowners to keep gates and stiles in good condition, and help to resolve conflicts between path users and those who live and work in the National Park. Use on foot only, with no legal right for horse riders and cyclists. Use on foot, horse or pedal cycle, but not for those in a horse & cart, motor vehicle or motor cycle. Available for any mode of transport, however their main use is as either a footpath or bridleway, and they are often unsurfaced. On 2 May 2006 the Countryside and Rights of Way Act 2000 reclassified all remaining Roads Used as Public Paths as restricted byways. A Restricted byway designates a way which can be used by pedestrians, horse-riders, cyclists and horse-drawn carts and carriages. Where a landowner allows the public access over private property with permission e.g. our Hillfort Trails. Permission can be removed or suspended and the route or level of permitted use (i.e. whether on foot, horse or vehicle) may be changed at the wish of the landowner. It is important to respect the landowner’s wishes so that these routes remain open to everyone. 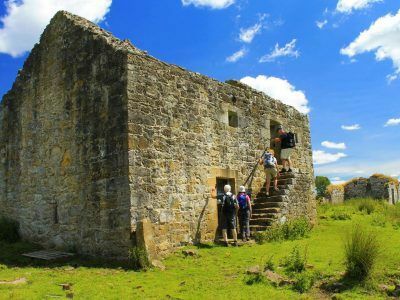 The Pennine Way and Hadrian’s Wall Path both run through the National Park, detailed information of which can be found on the National Trail website http://www.nationaltrail.co.uk. This website also give you access to all the other wonderful national trails that are available to walk in the UK. There are a number of other long distance routes that run through the National Park such as St Cuthbert’s Way, St Oswald’s Way, Hadrian’s Cycleway and the Pennine Cycleway. We also promote a number of shorter leisure and circular routes often based around villages. On the Natural England website you can also find details and maps for more than 1800 walks, rides and areas of open access provided under the Countryside Stewardship, Environmentally Sensitive Areas and Environmental Stewardship Schemes. Grazing cattle may become protective of calves, especially when dogs are present. If you are approached by cattle, let go of your dog immediately. For further advice and information visit the National Farmers Union. Twenty-three per cent of Northumberland National Park (stretching from the A68 to Upper Coquetdale) is owned by the Ministry of Defence and used as a military training area. It is the shared aim of the Northumberland National Park and the MoD to encourage as much access to the area as possible. 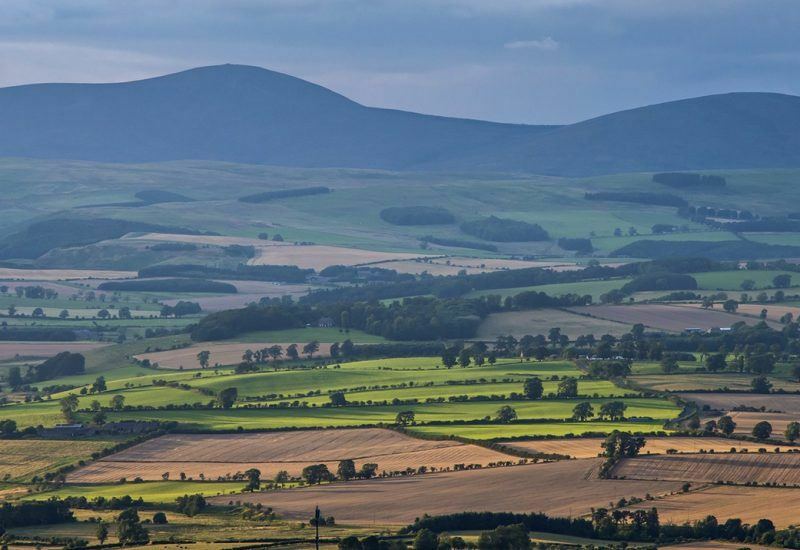 You are free to use the rights of way and access land to the north of the River Coquet at all times – this is the dry training area where there is no live firing. Useful information about access and safety in the Otterburn Ranges. The dates and times when Otterburn and/or Redesdale ranges are being used for livefiring can be found on the MOD website. Public access is governed by the Otterburn Ranges Byelaws. Outside the firing times, and when NO RED flags or Lamps are displayed, public access to the ranges is permitted on specified TARMAC ROADS, the PUBLIC FOOTPATHS and BRIDLEWAYS. Otterburn Ranges and Northumberland National Park Authority publishes an Access Guide. The Otterburn Ranges Access Guide shows the areas which are open to the public, both during and after firing. This guide is available from National Park Visitor Centres, Information Points, Libraries, Tourist Information Centres, local shops and hostelries. 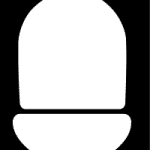 Be aware that outside published firing times military units will be training, using only blank ammunition and pyrotechnics. Do not pick up, kick or remove any object. Do not stray off the public rights of way or tarmac roads. The MOD at Otterburn cannot guarantee that the roads/tracks on the DefenceTraining Estate will be salted or cleared of snow during inclement weather. Telephone: +44 (0)191 239 4201 or +44 (0)191 239 4227. Let us guide you to the wonders of the National Park.